Anyone for a Game of Pickups? | | Quiet Lunch. Anyone for a Game of Pickups? 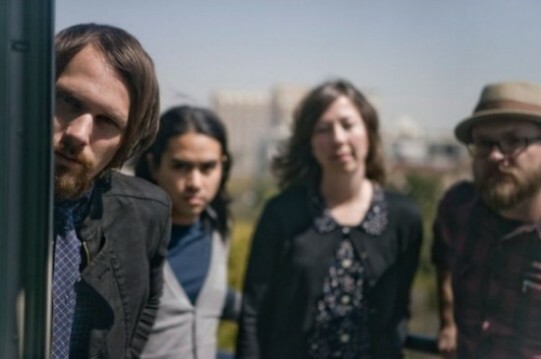 Attempting to build on the Grammy nominated buzz of 2009’s swoon, Silversun Pickups released their new album, Neck of the Woods, today. The band already released their first single, titled “Bloody Mary (Nerve Endings)“, in late March. We’ve been listening to it for about a week now and certainly don’t mind giving it a thumbs up on its day of release. The Silversun Pickups delightfully thrash about during the course of the record, soothing you with mellow vocals then jarring you with driving riffs and crashing crescendos. Overall, Neck of the Woods is a smooth ride accompanied by key moments of distortion. We could yammer on about how cool the album is but we’ll let you decide for yourself. Preview the new album below, and if you like what hear, click here to submit your shillings. The band will be performing tonight (May 8th) on Jimmy Kimmel Live, so be sure to catch them in action.